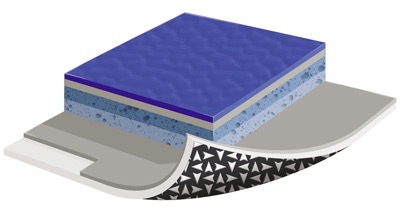 The Isolsport slip sheet is a vinyl isolating membrane specially designed for applications when gluing to the subfloor is not an option. With Isolsport renovations are possible over existing floors – no need to strip down the old floor. By design, the Isolsport slip sheet system also serves as a moisture mitigation system with a moisture tolerance up to 10 lbs and 92% RH.